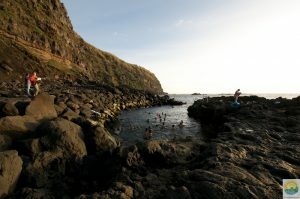 On this tour you will delight all your senses, while exploring the wonders of Faial, Pico, Terceira and São Miguel Islands. 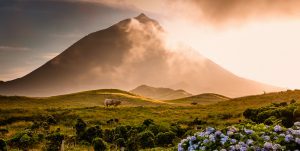 Astonishing views like the Capelinhos volcano, Arcos do Cachorro, the landscape of the Pico Island rock wall vineyards (a UNESCO World Heritage Site), and the Furnas valley, will sure take your breath away. While touring the regions most enchanting places, we’ll make sure to take you to its best wineries and cheese factory, so that you can savor its distinguish flavor, not to mention that you will also get to experience a traditional cozido meal, boiled in geothermic ovens. The above rates are per person, based on double occupancy (land package). 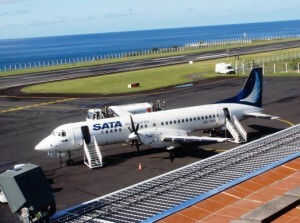 You arrive in the early morning and take a quick fight to the island of Faial for your 3 days on the Blue Island. Upon arrival a representative will meet you and transfer you to your hotel. Today you will say goodbye to Horta and hello to Terceira. Upon arrival you proceed to your hotel. The rest of the day is at your leisure. 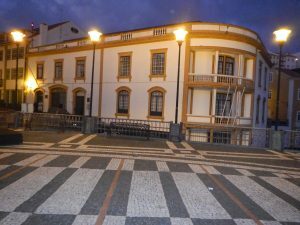 The full day tour to explore the island of Terceira “The Lilac Island” departs for Monte Brazil passing by the beautiful city of Angra do Heroismo stopping at Pico das Cruzinhas. This is the highest point on Monte Brasil, with a beautiful view of the city and its outskirts. The tour continues towards the eastern side of the island, showing the typical settlements and rural architecture and colorful “Imperios”. We stop in the town of Sao Sebastiao, where the church is one of the oldest of the Azores. After lunch we drive to Praia da Vitoria, and then onto Serra do Cume, with beautiful views overlooking the town of Lajes and the ocean. Our final stop is Biscoitos, a wine area, where we visit a wine cellar, and get to taste Terceira’s famous wine. The day is free to relax and enjoy the island. 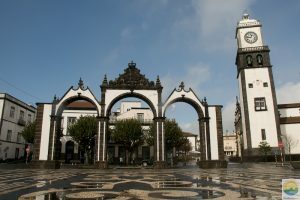 Today you will say goodbye to Terceira and hello to Ponta Delgada. Upon arrival you proceed to your hotel. The rest of the day is at your leisure. 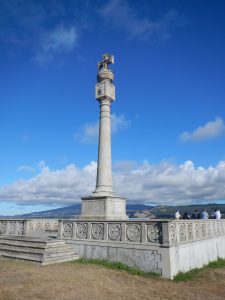 Today you will be off on a full day tour, to the southern and northern part of Sao Miguel. You travel along the southern coast heading toward Vila Franca, stopping at the pottery factory in Lagoa, you then proceed to the northern coast to Ribeira Grande, Ladeira Velha and a thrilling climb to Pico do Ferro with a magnifcent view of both valley and lake of Furnas. You continue to the town ofFurnas taking the southern coast to visit the Caldeiras, which are natural mineral water springs. Lunch will be served in Furnas (Cozido). After lunch you continue on your trip to Ribeira dos Caldeiroes, Nordeste via Salto do Cavalo, and return to our hotel in the evening. 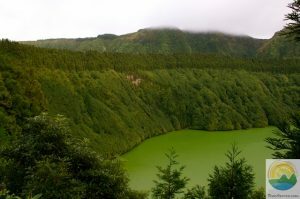 Today the day is at leisure to explore the Island of São Miguel. On your final morning in the Azores, you will have time to do any last minute shopping, or just relax. Before being transported back for your return fight home. $1,249 per person based on double occupancy. $1,349 per person based on double occupancy. $1,149 per person based on double occupancy.